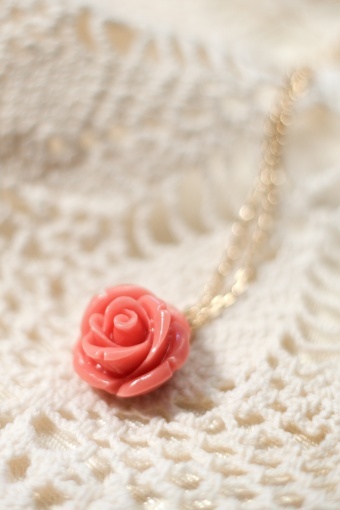 Handmade Romantic Rose Pink necklace gold from Petra Reijrink, especially made for TopVintage! 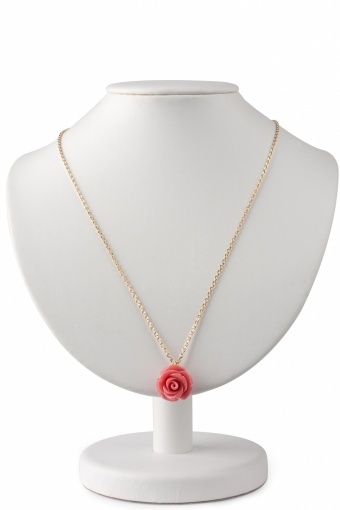 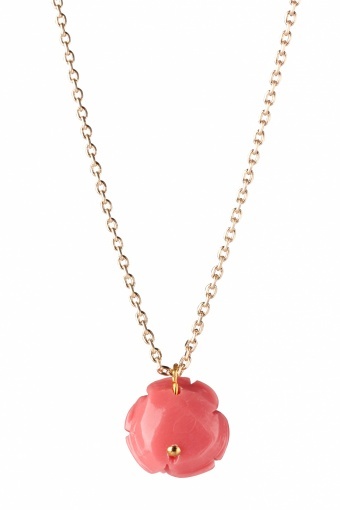 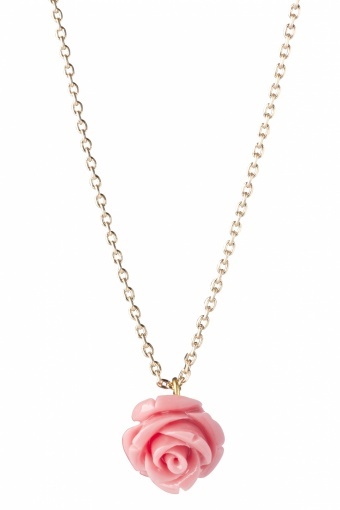 Delicate short 40s vintage inspired gold-plated necklace (nickelfree) with a cute carved small bamboo coral rose in pink. 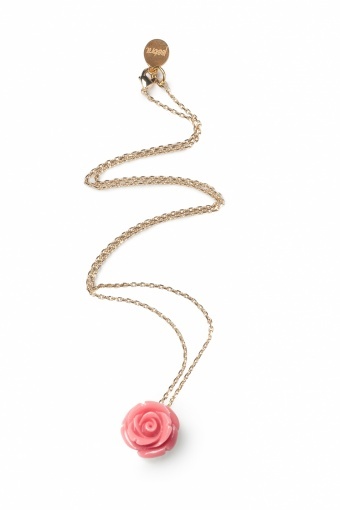 Also available in Ivory & Coral Red!